One of the most powerful features of the Thesis framework is it’s ability to use ‘boxes’ (either included with skins or installed separately) for adding functionality & design to your website. The Criss Cross skin comes with 14 professional boxes built in, allowing you to do more without installing any separate software. From social sharing & featured content blocks to autoresponder forms, Criss Cross offers a wide range of options for any type of website. With that being said, lets take a look at the boxes include with the Criss Cross skin. 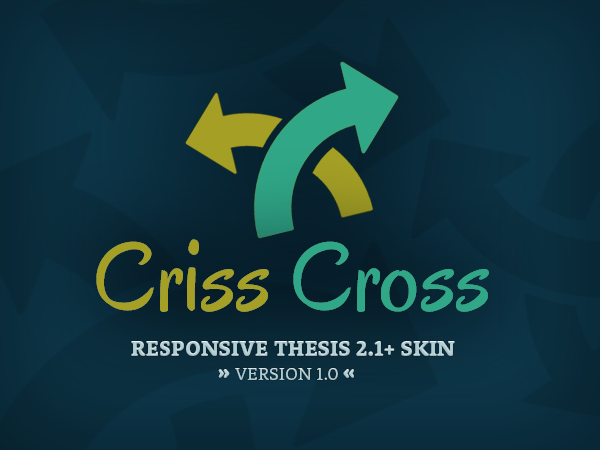 Ready to Grab the Criss Cross Skin? Updates are free for life and your purchase also includes full access to the support forums & Thesis Laboratory community. The price wont be $27 for long so don't hesitate, Grab Criss Cross Now! Just purchased after Chris Pearsons mention this morning-Really looking forward to trying out your skin on our site! This is where I am going to explain why you should sign up for my list.